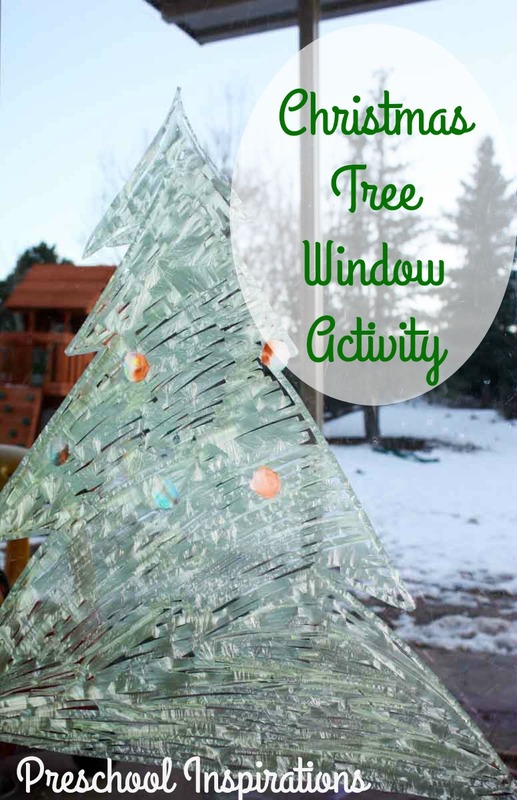 Combine fine motor skills, process art, and the magic of the season with this Christmas tree window activity. My friend Trisha did this great activity, and I asked her to share! I started by drawing a large tree on our door window using a green Crayola Window Markers (ours were the crystal effect window markers listed below, but any green would work) . I let my girls color it in while I gathered the other supplies needed. Giving children the opportunity to color, draw, or write on vertical surfaces is one of the best and most fun pre-writing skills around. 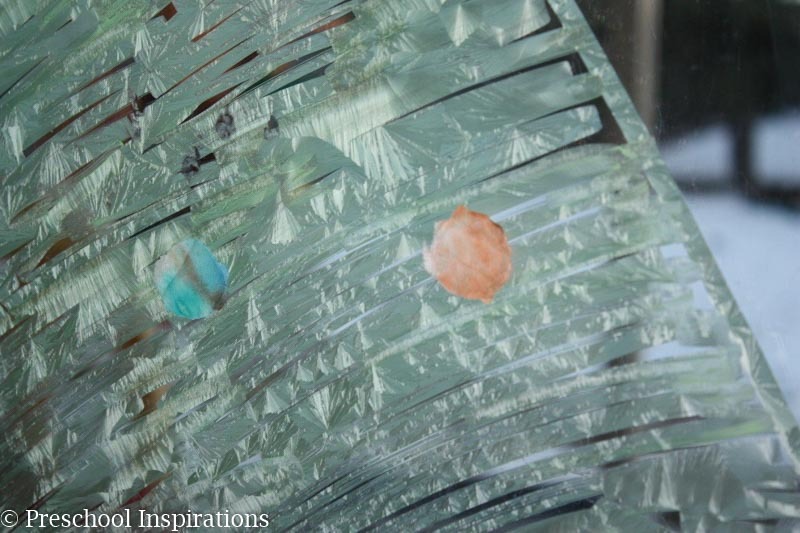 Next, we dove into some coffee filter process art. 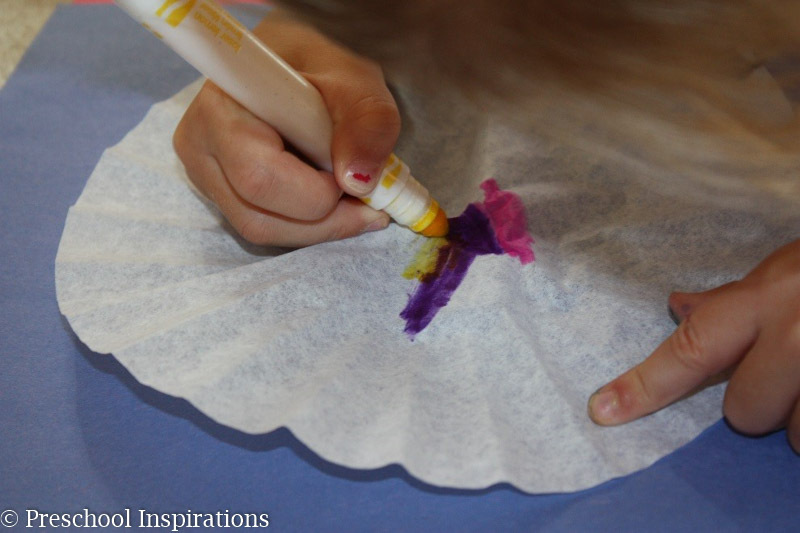 I let the girls color their own coffee filter with regular markers. Be sure to do this on a washable surface or to put a cover on the surface you are using because the markers will bleed through. Once they were done (with a little encouraging to add lots of color everywhere) it was time for their favorite part — spraying them with the water. Hand them the spray bottle, and let them go to work! The dollar store typically has spray bottles that would be perfect for this. We love watching the colors bleed and blend. It is a great way to talk about color mixing and take guesses on where we think the colors will run and which new colors will appear! Our hole punch kept getting stuck, so we decided to draw some circles on our dry coffee filter and cut them out with scissors. We then took a small piece of tape and taped our ornaments to the tree! 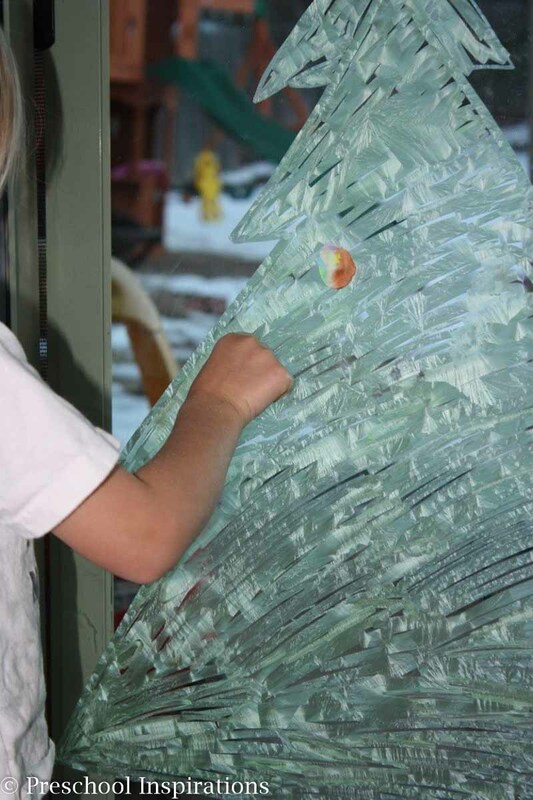 If you have never done a window activity before, I highly encourage it because they are so much fun!